Tomorrow is All Hallow’s Eve! Dress up and come on by Mock Crest Tavern for your free drink. Stick around for “Scaryoke” or in other terms scary karaoke. It’s sure to be a frightfully fun night! 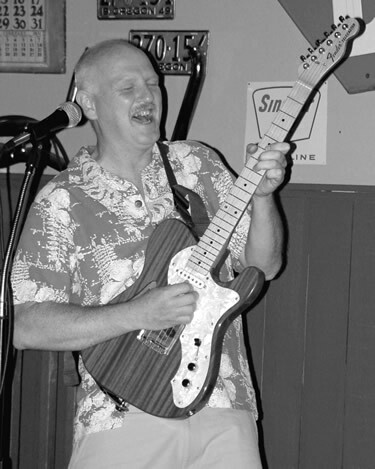 Suburban Slim, a smash hit at Mock Crest Tavern, returns with his blues tunes Friday, November 1st at 9:00 p.m.
Phil Wagner, otherwise known as Suburban Slim, has played the ukulele since childhood and later picked up the guitar. He grew up in Northern California, and recorded his first album at the age of 15. Later, he toured Oregon and moved to Eugene where he stayed for several years before relocating to Portland. Phil settled into the area and embraced the wider audience and music culture. As his music career grew, he released three Cd’s of original tunes. The Disappointments perform at 6:30 until 8 p.m Saturday evening, November 2nd, and you won’t be disappointed! Visit Reverbnation to hear their music. “Pretty Killer”, “Beneath” and “Opening Salvo” will allow you to appreciate the smoothness the sax and the blend of this group bring to the table. You won’t want to miss them! Just a reminder of the new event on Sunday evenings, Quizzies, hosted by Roy Smallwood. The games begin at 6:00 p.m. Also, to help you get through those dreaded Mondays, Mock Crest Tavern hosts “Hold ‘Em Poker”. And the best part of it? It’s free. Who doesn’t like free? Halloween, Quizzies and More this Week at MCT! It’s Halloween week and with the ghosts and goblins out and about, you will want to step into Mock Crest Tavern Halloween night. If you wear a costume you can get a free drink! Stay for a while and participate in the “Scaryoke” which is scary karaoke. Mock Crest now offers “Pray for Snow” on draft. This beer is made by 10 barrel located in Bend, Oregon. They took last year’ version, tweaked it and made it even better! It offers eight different specialty malts that deliver a complex and thought provoking malt blanket. To compliment this, 10 barrel used a combination of herbal, spicy, and citrus hops to keep the beer in balance. All of this was blended together for months in Brandy barrels, adding nuances of oak, vanilla, and candied fruit. Hurry in I don’t think this one will last long! Tavern. 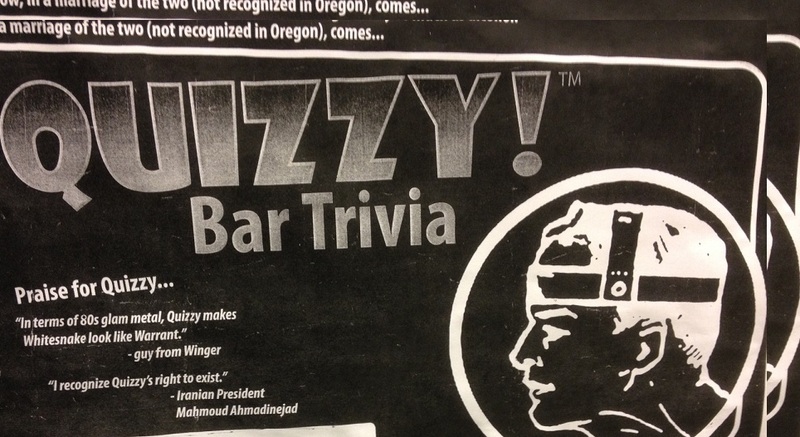 The bar trivia, hosted by Roy Smallwood, and the night’s filled with fun and lots of laughs. If you haven’t made it yet the games begin at 6:00 p.m. on Sunday nights! Join Boots n’ Honey as they perform on Tuesday, October 29th, at 7:30 p.m.
Boots n’ Honey and Jane Derringer are a 2012 version of Johnny Cash and June Carter. With original tunes, their acoustic rock n roll, ballads, country and blues music deliver a New York edge and bite. Stay tuned for the weekend events coming up at Mock Crest Tavern. Don’t forget there is never ever a cover charge! They offer an awesome menu, appetizers, full bar and rotating taps. The ongoing reviews are raving about the great service, food and comfortable atmosphere. 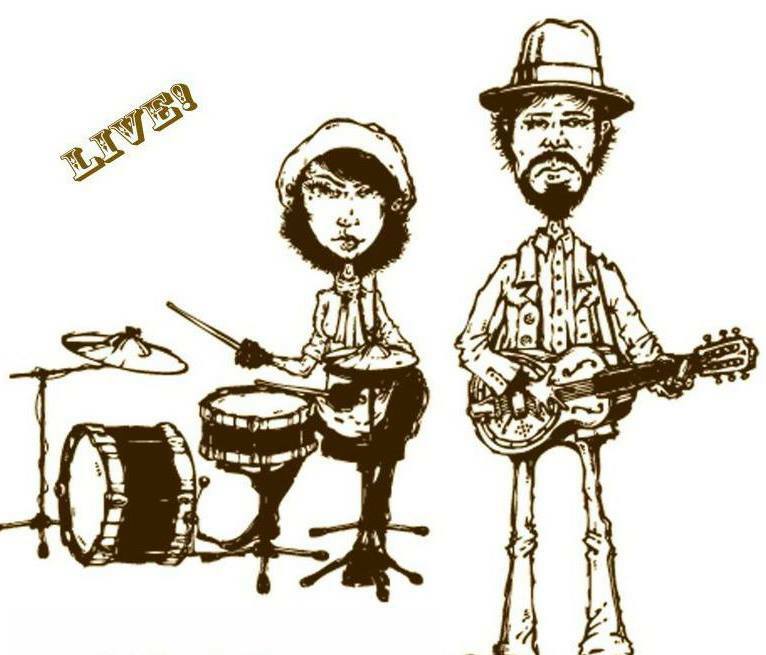 SideStreet Reny and the Blueprints This Week! 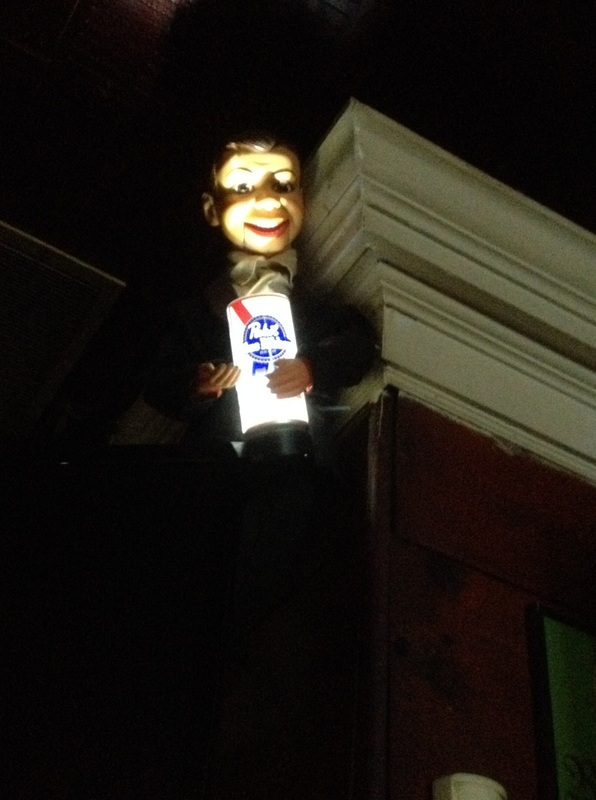 Thank God Friday’s almost here and Mock Crest Tavern has just the remedy to celebrate! Sidestreet Reny will perform Friday, October 25th at 9:00 p.m.
Reny and Bell have performed together more than 17 years and with that kind of experience they bring a true grit and creativity to their blend of bluesy/funky sound with pre-war blues, roots and folk music, old school Hip Hop, calypso and dance hall reggae. Check out their website for some tunes Sidestreet Reny’s website before their performance. One of Mock Crest Tavern’s favorites return to perform Saturday night, October 26th, at 9 p.m. So come in and enjoy The Blueprints! They perform a great blend of Americana/Blues and R&B. You can listen to their music on myspace, including “Deep River Blues” and “Number 13.” Some of their other songs are on Reverbnation. Just a reminder Halloween is next week so stop by Mock Crest Tavern in costume and get a free drink and at 9:00 pm SCARY-OKE, Goulish Karaoke, will begin so don’t miss the fun!! Have a great week and see ya there! 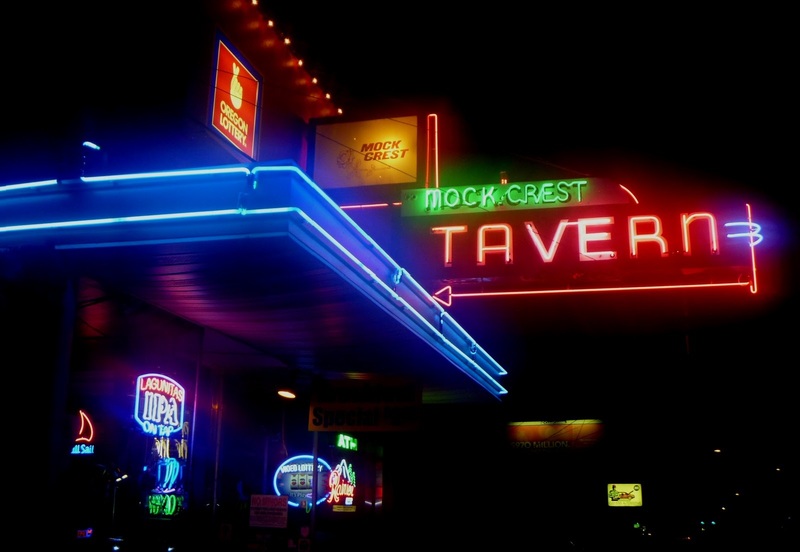 Mock Crest Tavern has served the Portland area for more than 60 years, and there’s a reason for that. It’s a great place to go, kick back and blow off some steam. And, there’s always something fun to do. Speaking of fun, thanks to everyone who has gone to Quizzies! Roy Smallwood delivers quite an entertaining evening with his trivia questions. Quizzies will continue on Sunday nights at 6 p.m.
Just a few fun alcohol facts for you trivia players. The longest bar in the world is 684 feet (or about 208.5 meters) long and located at the New Bulldog in Rock Island, Illinois – Yenne, B., and Debolski, T. The Ultimate Book of Beer Trivia. San Mateo, CA: Bluewood, 1994. The founder of MADD (Mothers Against Drunk Driving) no longer belongs to the organization. She resigned after it became increasingly anti-alcohol rather than simply anti-drunk-driving. Franklin D. Roosevelt was elected President of the U.S. in 1932 on a pledge to end National Prohibition -Yenne, B., and Debolski, T. The Ultimate Book of Beer Trivia. San Mateo, CA: Bluewood, 1994. The consumption of alcohol was so widespread throughout history that it has been called “a universal language – Dr. Patrick McGovern, an archaeological chemist at the University of Pennsylvania quoted in The history of Drinking: Uncorking the Past. The Economist, 12-22-01. Breakside Brewing’s Liquid Sunshine Pilsner is a German-style lager with a complimenting bitterness. This Pilsner is very light and refreshing and it’s brewed and bottled right here in Portland, Oregon. 5.2% ABV. Halloween is next week so stop by Mock Crest Tavern in costume and get a free drink and at 9:00 pm SCARY-OKE, Goulish Karaoke, will begin so don’t miss the fun! !